Apparently under the impression that not everybody in Albany already knew about it after reading Tuesday morning’s edition of hh-Today, the city manager’s office issued a press release during the day confirming that the public will have a role in the planning if the police and fire station projects move forward. 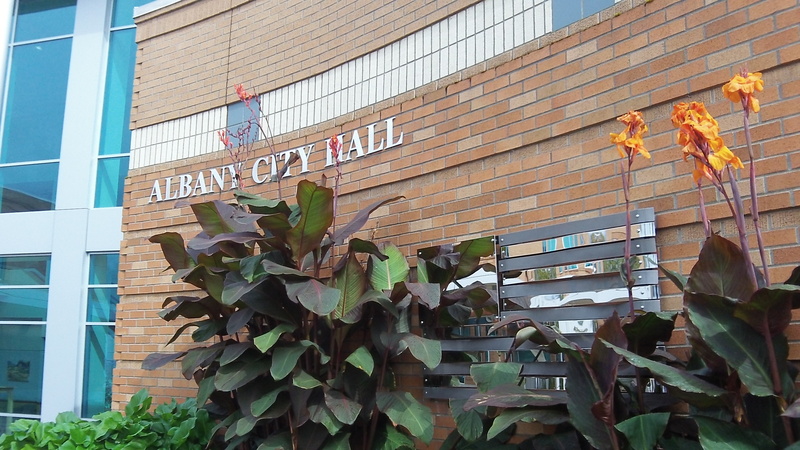 “The Albany City Council has unanimously agreed to involve members of the public in developing plans for new fire and police stations. “At a meeting Monday, October 21, 2013, the Council agreed to hold public meetings before the City calls for building design and construction proposals for the two facilities. The Council also agreed that Fire Chief John Bradner and Police Chief Mario Lattanzio should select individuals from the community to serve on separate committees to review proposals for each facility. The only element of this I had overlooked was that the committees to review proposals under the design-build approach planned by the city would be two in number and their members would be named by the police and fire chiefs. Another wrinkle that might be worth mentioning: A question by Councilwoman Bessie Johnson Monday elicited the information that the project costs are to cover not just the buildings but the furnishings and equipment as well. So once the projects are designed and accepted by the council, along with a price tag not to be exceeded, there should be no add-on costs later on. All this of course is predicated on the election resulting in approval of the $20,3 million bond issue intended to cover the bulk of the projects’ expenses. Voting ends on Nov. 5.